Matter of Trust partnered with the East Bay Depot for Creative Reuse (EBDCR) to help victims of the October 2010 flooding in Pakistan. Through our program Excess Access and the community collected parkas and sleeping bags to send to those affected. 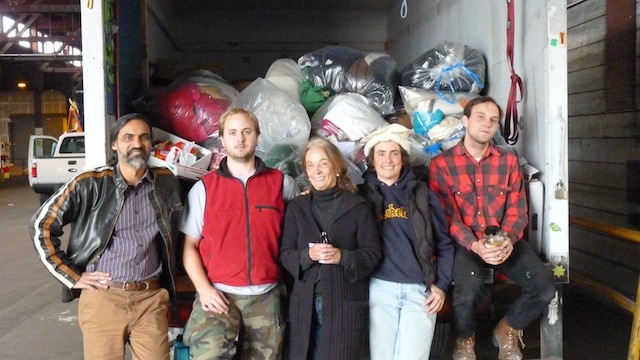 Linda Levitsky (in the center), EBDCR Director, is shown here with her team in front of a truckload of parkas for Pakistan donations. Huge thanks to all our participants who sent in so many warm jackets for those in need!